Discover everything your organization needs to know about nonprofit CRM software with 13 simple tips. Download the FREE Nonprofit CRM Buyer's Guide. 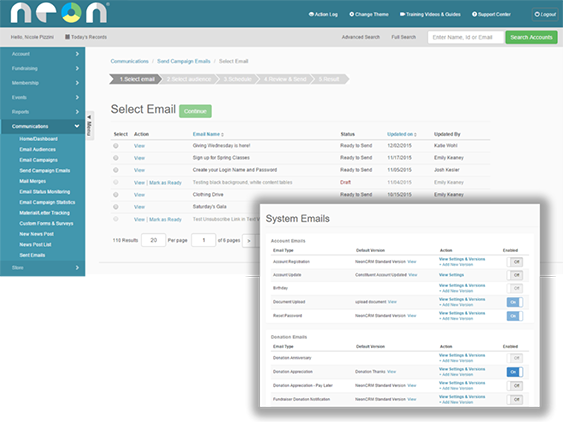 Get a FREE demo of Neon’s CRM software. Work with a vendor who’s sympathetic to your needs and can provide your organization with attentive software training and support. Software shouldn’t have to be expensive! Look for a vendor who offers an affordable cost without sacrificing quality. The software you choose should be able to grow with you. Make sure your vendor provides plenty of additional tools that can easily be integrated with your CRM as your organization’s needs evolve. The CRM implementation process shouldn’t have to be a headache. Choose a vendor who provides plenty of support with data migration and setup. Obviously, one of the main purposes of nonprofit CRM software is to help your organization practice better donor stewardship. With a complete understanding of your donors at your disposal, you can target them with the personalized outreach strategies that lead to donors for life. Think about it: when your donors know that you’ve taken the time to get to know them and that you care about them personally, they’ll be much more inclined to keep giving! Not to mention, you’ll be able to send relevant communications and appeals, which are much more compelling. 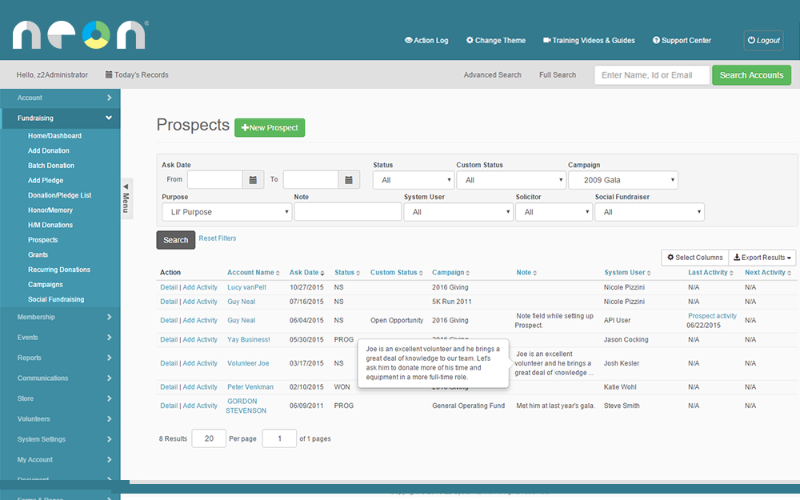 Nonprofit CRM software makes campaign management more manageable. Plan out detailed staff and volunteer workflows. Alert staff members when it’s time to complete important tasks. Pinpoint prospects and keep track of cultivation processes with centralized planning. Quickly accept gifts of all shapes and sizes. With all donations under one roof, it’s never been easier to keep track of your progress! Automate communications to make appeals, invite supporters to events, say thanks, and more. And these are just a few of the ways it can help! Learn all about annual campaigns! With your nonprofit CRM, your organization can build branded online donation forms and seamlessly incorporate them into your website. Your forms are even mobile-responsive (meaning they look and function great on smartphones and tablets) so donors can give on the go! 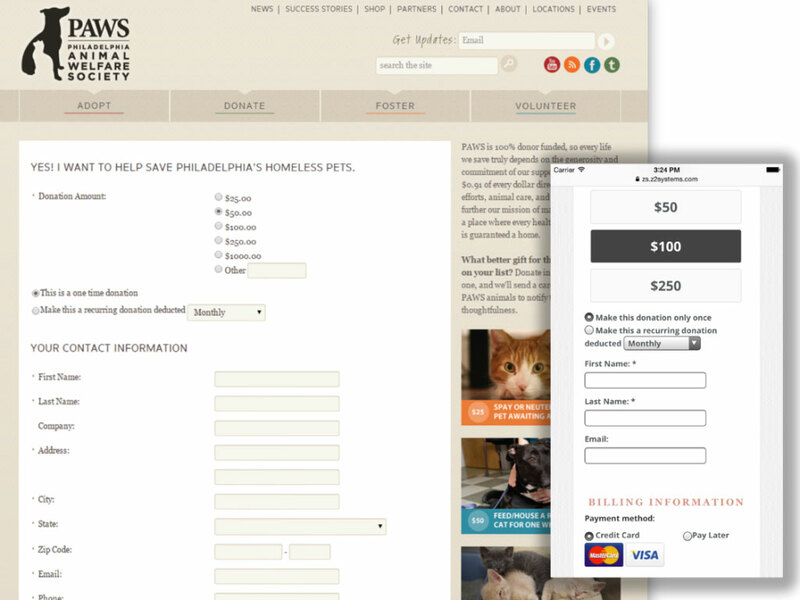 With online and mobile giving, donations are convenient for donors and easy for nonprofits. Not only will your organization have less manual processing to handle, but you’ll also receive donations more quickly. Plus, since your donation forms are linked up to your CRM, the data collected from them will automatically be recorded in donor profiles, making data management a breeze! Learn more about online donation forms! Nonprofit CRMs can make every step of event planning and execution run more smoothly. With more information about your supporters’ demographics and interaction history on your side, your organization can pick the type of event that makes the most sense for your donors. Once you’ve decided, it’s easy to segment out your guest list and automate email campaigns to send invites and keep supporters posted about the event. Additionally, you can build online registration forms that allow attendees to sign up without having to visit the box office! Your guest list will automatically be compiled in one place, so it’s simple to track RSVPs and sign attendees in at the door. Learn more about event management! Nonprofit CRMs aren’t just used for keeping up with donors! In fact, this type of software can help organizations track data for and oversee the efforts of all types of constituents. 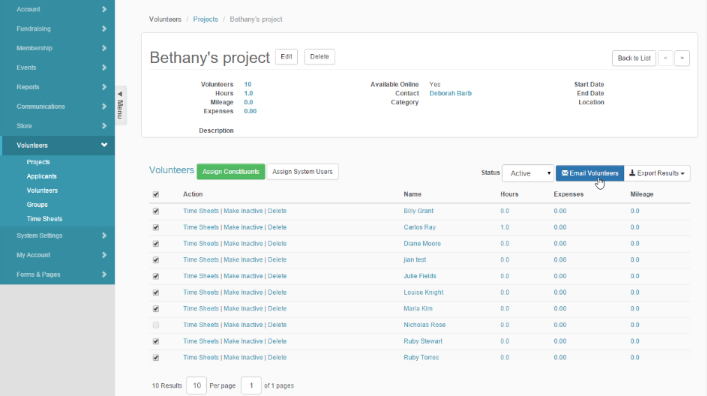 For example, CRMs can be especially useful for organizing staff and volunteer efforts. 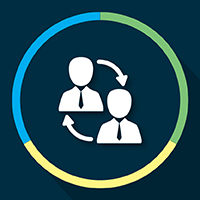 With your CRM software, your organization can plan out multistep efforts among multiple contributors and oversee these efforts universally to make sure everything gets done. Constituent actions are tracked in the system. Look back to see how different people have interacted with your organization in the past, and use this information to inform future efforts! Increase volunteer participation with these tips! 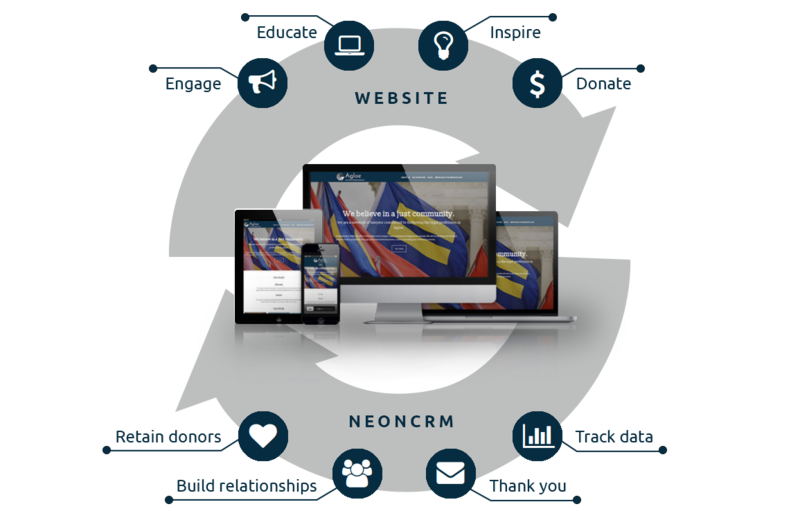 Get a free demo of NeonCRM. By centralizing all of your constituent data sources, your nonprofit will receive a 360° view of your supporters. With a complete understanding, you can personalize your outreach, helping you foster more invested engagement and build deeper, more valuable relationships. Since nonprofit CRMs centralize all information, your staff will have access to a more comprehensive set of data to inform their jobs. Universal information access enables your staff to perform more effectively, since they’ll be able to see how their roles fit into larger efforts and complete their tasks at the most opportune times! 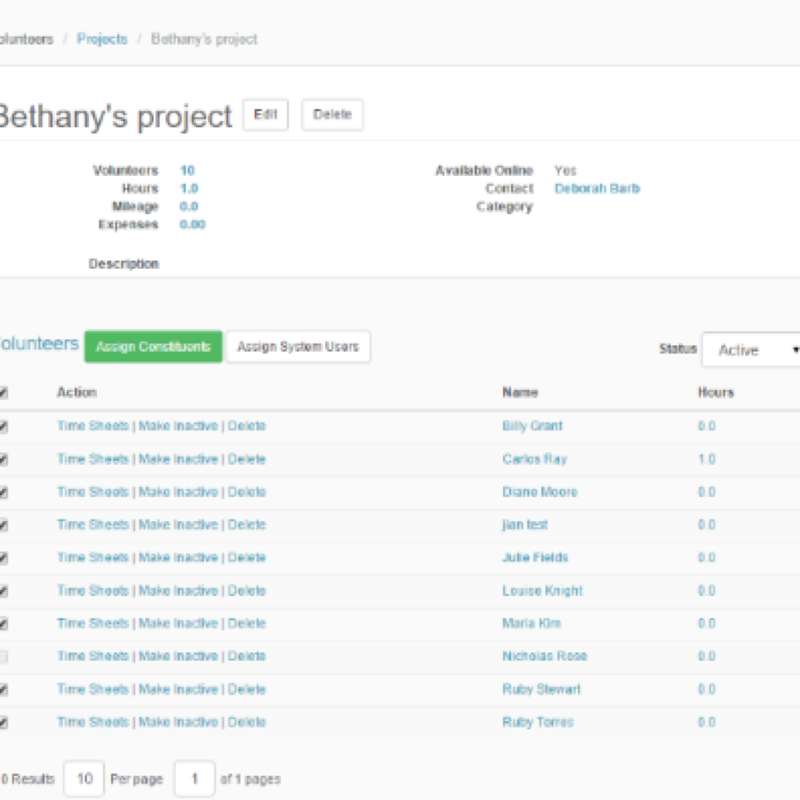 Nonprofit CRM software automates many of the menial tasks that nonprofit staffs once had to complete by hand. With these automation features, your staff will have more time to focus on the most meaningful pursuits, like forming relationships with your donors! Your nonprofit CRM houses all campaigns and efforts in one place so you can view them in conjunction with each other to see how everything works together. Not to mention, storing your efforts in one place streamlines them significantly, since you won’t have to switch between platforms! Automation is useful for more than just freeing up staff time! By eliminating the manual handling of data, you’ll have a cleaner and more accurate set of data to draw from. A more accurate set of data enables you to leverage your data more effectively, since you’ll be using the right information. Your nonprofit CRM software’s powerful reporting and analytics features give your organization the objective, quantifiable insights into your performance you need. With these insights, you can more precisely pinpoint areas for improvement so that your efforts will only keep getting better! Nonprofit CRM software is a centralized data management solution, providing organizations with one place for housing all constituent information. It also includes a wide variety of tools that make fundraising and stewardship more effective. A nonprofit CRM system refers to CRM software that has been integrated with other types of fundraising software. By centralizing their efforts, nonprofits can achieve seamless operations and receive deeper insights. “Nonprofit donor database” is a direct synonym for nonprofit CRM software. The two can be used interchangeably to describe software with similar features and capabilities. Learn about donor databases here. “Donor management software” is another synonym for “nonprofit CRM software.” The two terms can be used interchangeably. “Fundraising software” is an umbrella term for all types of software specialized for nonprofits, CRMs being the most general and comprehensive type. “Nonprofit software” is a synonym for “fundraising software.” It encompasses all types of nonprofit-specialized platforms, including nonprofit CRMs. Track all donor data, from basic biographical information to past donation history and more, to get a 360º view of your supporters. You can even add custom fields to record information unique to your nonprofit. View two-way relationships for deeper insights into how your base is connected. Group supporters by household to keep track of combined contributions, event attendance, memberships, and more. Securely and accurately process all types of donations, including pledges, with granular gifts management tools. Your organization can set an unlimited number of campaigns and projects and easily allocate funds. Add notes and reminders to constituent profiles and alert key staff when it’s time to perform important tasks. With CRM software, it’s easy to find your prospects and take an individualized approach to stewardship. Build unlimited custom webforms for donations, memberships, event registration, and more. Forms are branded to your organization and seamlessly integrate with your website. They’re even mobile-responsive so donors can view them on the go. Send mass email communications and set automated messages and drip campaigns that send once supporters take certain actions. Segment your list based on any data fields in the platform to ensure your outreach is always relevant, and track responses to monitor engagement. Schedule complex events with sessions. Build custom event registration forms, and set multiple ticket packages to provide supporters with plenty of flexibility. Assign and oversee volunteer tasks to make sure your event planning is always running smoothly. With all important constituent data tracked in the platform, your nonprofit can run reports on nearly anything, from giving habits to email marketing to custom reports. Advanced reporting and analytics give you the deepest insights into your base. Check out the full feature set! Whether you’re buying a CRM to gain deeper insights or to speed up your efforts, determine your desired outcomes to ensure the CRM you buy will have the features you need to achieve them. Chances are, you’ll be using your CRM for more than just data management. Identify the other areas your CRM will need to manage to choose a platform with the right feature set. CRMs are usually partially priced by how many users can access them. Take a headcount of your staff to make sure you’re buying software that can accommodate everyone who needs to use it. The number of constituents your CRM holds often influences the price. Don’t forget to buy a platform that can house your constituents comfortably (leaving a little room for growth!). It’s important to find a CRM that fits into your budget. Just keep in mind: the list price often doesn’t account for everything, so ask your vendor to spell out the costs. Providing training and support, your CRM vendor will become an active partner of your organization. It’s crucial to find a vendor with the right experience and “personality” so that you work well together! Seeing as it will be housing your supporters’ most sensitive data, your CRM should take security seriously. Double-check that it’s equipped with the features that will keep your donor data safe. There’s no doubt about it: data migration can be a hassle. Work with a vendor who provides assistance throughout this process (like Neon!) so that everything runs smoothly and successfully. Learn more about these considerations and others. The buying process starts with you! Once you’ve decided that you’re interested in nonprofit CRM software, your organization should get in touch with your vendor of choice. Submit a demo request on your vendor’s website, or pick up the phone and give them a call. When your vendor sees that you’re interested in learning more about the CRM, they’ll give you a call to learn more about your organization and assess your needs. After the discovery call, your vendor will direct you to the right solution and lead you through the next steps. Now it’s time to see it in action! 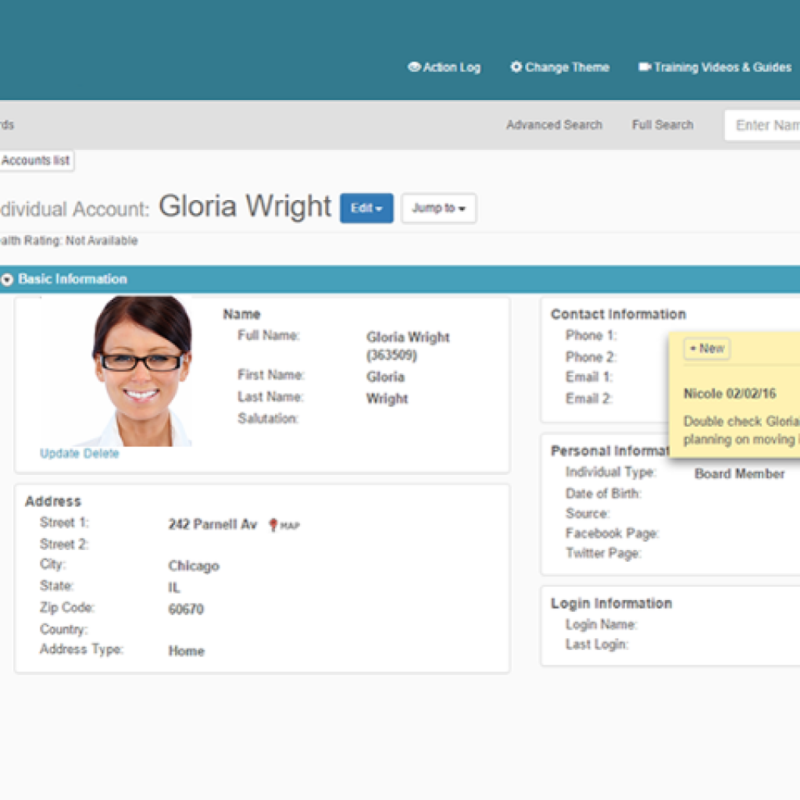 Your vendor will walk you through a demo so you can get a feel for the CRM’s interface. Since the demo is live, your vendor can cater it to your nonprofit’s needs and highlight the features you’ll be using most. Don’t hesitate to ask questions. If after the demo you’re still not convinced that the CRM software you’re considering is right for you, many vendors will offer a free trial. If you are convinced, you can skip to the follow up, which is a chance to ask any lingering questions and tie up any loose ends before your engagement with your vendor becomes more formal. You’ve found the perfect nonprofit CRM and are ready to get started! At this stage, you’ll provide your vendor with your data in full so they can run an analysis. Depending on how difficult the data migration process will be, your vendor will decide if your organization can handle it alone or if you’ll need the full or partial help of a consultant. Your organization loves the platform and has determined that data transfer will be manageable. It’s now time to make your purchase official. Your vendor will provide you with a formal contract outlining the terms of the purchase. In order to get the ball rolling and start setting up your software, all you have to do is read and sign! 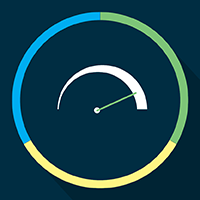 Sign up for a FREE demo to get started with NeonCRM! Many vendors provide support during the data migration process. Depending on how involved the process is, they might offer partial assistance or even complete it in its entirety. If your organization anticipates needing a little extra help ensuring that data migration goes off without a hitch, explore the options your vendor provides. Before you move over any data, your organization should perform a thorough cleaning of your current data (you can learn more about just what exactly data cleaning entails below). Cleaning beforehand ensures that you’ll only be taking the relevant data you need and won’t be wasting time or resources transferring obsolete data. The data migration process will be much more manageable when completed in stages. Before you get started, rank your data by importance. Migrate over the most important data first, working your way down to the sources that aren’t as crucial. Somewhere in between data cleaning and migration, your organization should make a backup of your data in full. That way, if any of your data happens to be lost or damaged in some way, you’ll still have an uncorrupted copy to fall back on. Even if your organization is working with vendor consultants, you should assign one of your staff to be the point person of the data migration charge. This person will oversee the process to make sure it stays on track and will have the lowdown if other staff members have any questions. Considering that data will be in between platforms at certain points, data migration can certainly affect your staff members’ abilities to do their jobs. Be transparent about the process, and let staff know in advance when certain data sources might be unavailable. That way, they can plan ahead. Getting to know your supporters starts with the basics. 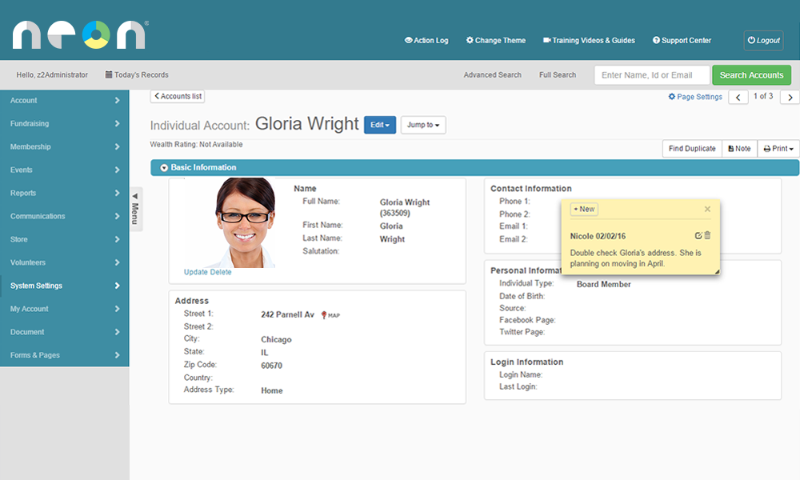 Your CRM will store constituents’ biographical data, such as name, gender, birth date, title, etc. Record your constituents’ contact info, like email addresses, mailing addresses, phone numbers, and social media accounts, so you can always get in touch! Track relationships between two constituents in your base, whether they be personal, familial, professional, or organizational, to see where you can leverage connections. No preset field for a data source you’d like to track? Luckily, your CRM can be customized, enabling you to track data that’s unique to your organization. Know something about your supporters’ interests, hobbies, likes, or the causes that move them? Record this data in your CRM to help personalize your outreach! Track every aspect of your supporters’ giving history, including donation types, gift amounts, giving frequency, and preferred channels, to get to know their habits and better tailor your asks. Record all other types of constituent engagement, from memberships to volunteerism to event attendance, to gain a comprehensive picture of their history with your organization. Keep track of when you contacted supporters, through which channels, and how they responded. With CRM, you’ll always know when and where to reach out! Each year, nonprofits must report their fiscal activity to the government to keep their doors open. 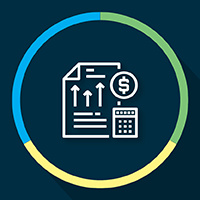 Since CRMs centrally track all money that’s coming in and out, your organization can quickly generate comprehensive reports to share with governmental bodies—no compiling needed! Not to mention, since they take the human error out of data collection through automation, CRMs enable you to generate the most accurate reports around. Accurate and comprehensive fiscal reports can also come in handy when sharing your activity with donors and other types of constituents. If you aren’t transparent about how you’ve been using their funds, donors can become disinclined to trust your organization. But with your CRM on your side, you can solve this trust problem and reassure donors that you’re using their funds wisely! Your CRM has tools that can help you track the success of your communications, especially through online channels like email and social media. Evaluate email newsletter open and click-through rates, social media visibility and shares, and much more to ensure that you’re effectively engaging supporters. While we’ve specified certain types of reports here, the fact of the matter is that your nonprofit CRM software will enable your organization to run reports on practically anything. 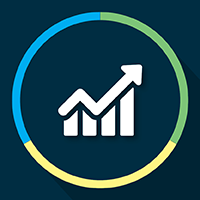 If there’s not a preset report for your needs, you can configure custom reports to gain insights into anything your organization can imagine. Since you’ll be collecting lots of valuable data from forms on your website, your organization shouldn’t fail to integrate it with your CRM. 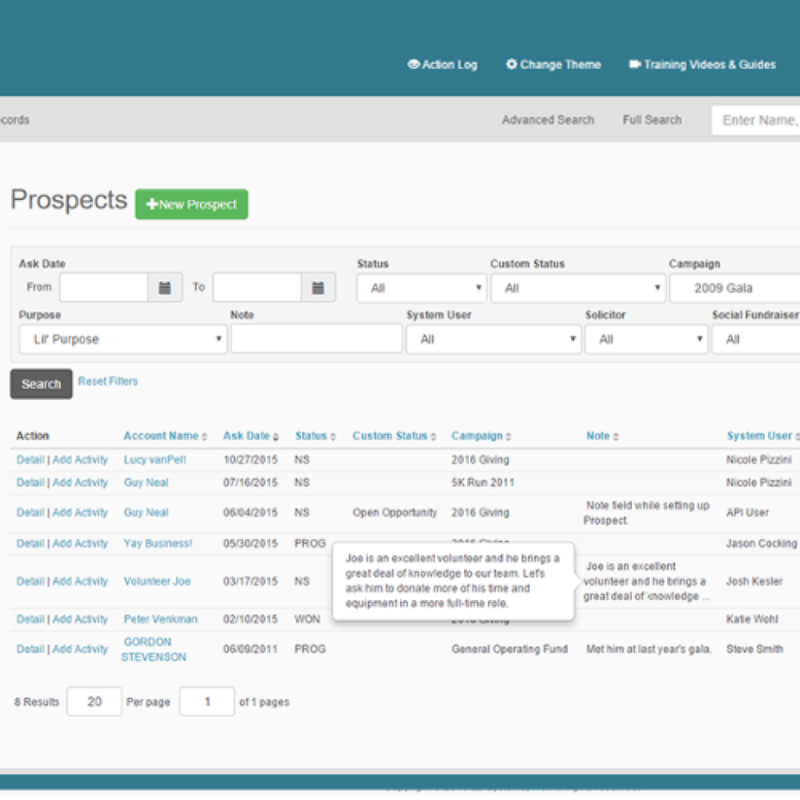 If you’re generating forms to embed on your site through your CRM, data collection will be automatic. However, your online forms aren’t the only important part of your website. In order to capture your donors’ attention and keep them engaged on your site, you’ll need an attractive and intuitive design throughout. If your website needs a revamp, consider working with a vendor who offers both CRMs and web design services to ensure your website is success! Check out Neon’s Web Studio! If your nonprofit also engages constituents through a membership program, then you’ll want to integrate your membership or association management software with your CRM. By integrating, you’ll have access to more robust membership tools right in your main platform! You’ll also be able to automatically build member profiles so you can learn more about these supporters and see how they relate to others in your base. 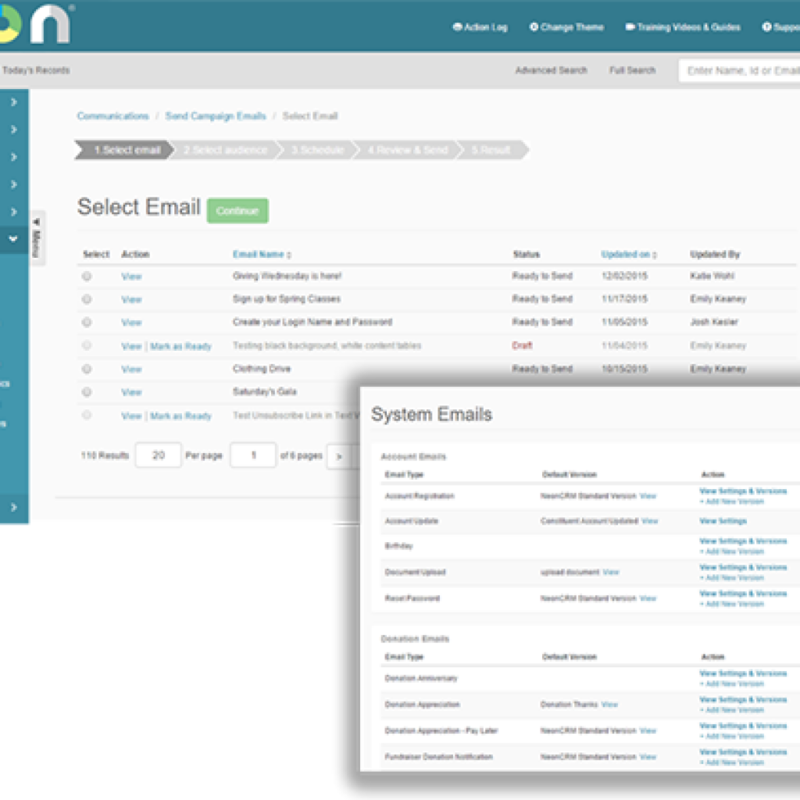 Learn more about Neon’s membership software. Payment processors take care of all of the backend steps that must occur to verify your donors’ payment information and transfer their donations to your nonprofit. In other words, you won’t be able to accept any types of contributions if your CRM isn’t integrated with a payment processing service! Make sure you have a dedicated payment processor working behind the scenes so that you can process donations quickly and securely. Learn more about iATS payments. By integrating a wealth screening service with your CRM, your organization can better pinpoint major donor prospects. Your service will be able to draw from all of the donor data you have on file to provide you with the most accurate screenings. Most nonprofit CRM vendors offer multiple training packages to help nonprofits learn their software. These training options can range anywhere from pre-recorded videos to custom, on-site lessons. Take advantage of this service! 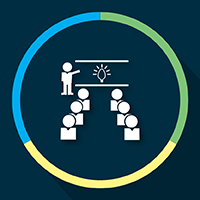 Explore the options your vendor provides to determine the training model that’s the best fit for your organization. Amidst all of the other important efforts your nonprofit is running, getting to know your CRM can easily fall by the wayside. But it takes a constant, conscious attempt to learn to master your software. Set knowledge objectives to help keep you on track. When you know you have to learn certain features by a certain time, it will be easier to hold yourself accountable. Many nonprofit CRM vendors also have other types of training materials, such as user manuals and online forums, that your nonprofit can consult. See what resources are available to you so that you’ll have as much support as possible when learning your CRM software! To accommodate the ever-shifting needs of nonprofits, CRM vendors often introduce updates to correct bugs, strengthen capabilities, and introduce new features. Make sure to update in a timely manner and to set aside time to learn how these updates influence your software. 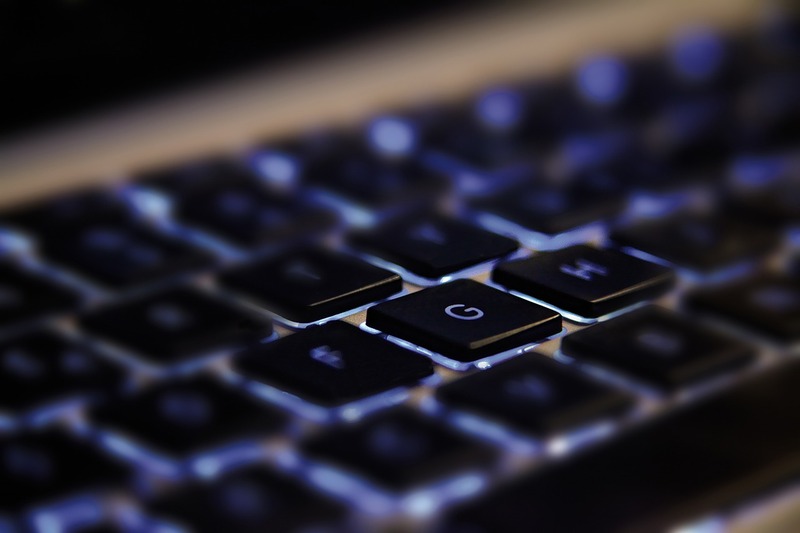 To help your CRM function as accurately as possible, it’s important to optimize data entry. That includes limiting the number of people entering data into your CRM and setting clear guidelines for data entry. 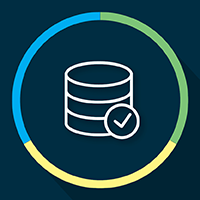 Keeping the staff entering data to a minimum will reduce duplicate entries and other errors, while setting standards keeps your database lean and ensures that data is easily retrievable. The more that your nonprofit handles data management tasks manually, the more room for human error you’re opening up. And when you don’t have accurate records, it will be much harder to engage donors. Automate as many data management tasks as possible to minimize errors. For example, software integrations automate data collection, and automated cleaning features keep data precise with no extra effort on your part. Even if you’re proactive about setting data entry standards, your data can still get out of hand if you don’t clean it frequently. Set aside time once a year to clean your database from head to toe. For more on data cleaning, jump to the section below! Imagine if all of the data your nonprofit had been collecting for years was suddenly lost and you were left with no way to contact your supporters. Avoid this nightmare by making frequent backups. You should back up your files every time you make a significant change to your database. The first thing your nonprofit should do when cleaning your database is to delete any duplicate records and data sources. Most CRMs have automated features that will keep duplicate entries from occurring, but it can’t hurt to double-check. You don’t want to send donors the same messages twice! It can be difficult to let go, but your nonprofit shouldn’t hang on to donors who are no longer actively engaging with you. If you haven’t heard from a donor in three years, it’s safe to assume they’re no longer interested in supporting you. Delete lapsed donor data to make room for new supporters! Unfortunately, data entry standards aren’t foolproof. Your records can easily become disorganized due to anything from staff typos to supporters entering information into webforms in various ways. Comb through your records to make sure that they’re in keeping with your entry standards, and adjust any aberrant data sources to ensure you’re working with the most accurate and accessible set of data. Data cleaning is the perfect time to reach out to constituents and ask them to confirm their contact info. You’ll be working on donor profiles, anyway, so it will be easy to update any data that needs changing. To make communications efficient, send out a mass email request. Your CRM can auto-fill contact information fields by pulling them from donor profiles, personalizing emails efficiently!